The last decade transformed e-learning radically towards digital learning. In the early days, courses offered for e-learning were typically custom created, by groups of programmers who were aided by software creating tools. Advancement in technology led to the creation of worldwide web, making the creation of online digital learning courses agile and offering many ways to communicate and pass on knowledge. ISAE-SUPAERO provide such a service through is online digital learning platform. This page presents how learner can use ISAE-SUPAERO online. Browse our course catalog to find the right one you’d need to learn about. We build various courses in the context of aerospace and are always adding more. Courses vary in the way they are proposed. Few of them are full distant courses, few are proposed using a blended approach, partime in remote digital learning, parttime on our campus. Each course is described accurately through a special page containing various elements about the course, such as the type of learning, the course operator, the course dates and duration, the taught language, etc. Many questions about the course are replied such as "What will you achieve in the course? ", "what topics will you cover? ", "what are the prerequisites", "who is the course for?" or "who will you learn with?". At the end of the course description, we provide information about course registration. Depending on the type of course, the registration may be achieve on an external platform by yourself (MOOCs) or contacting our staff, particulilarly EuroSAE that operate our short courses for professional and longlife education. 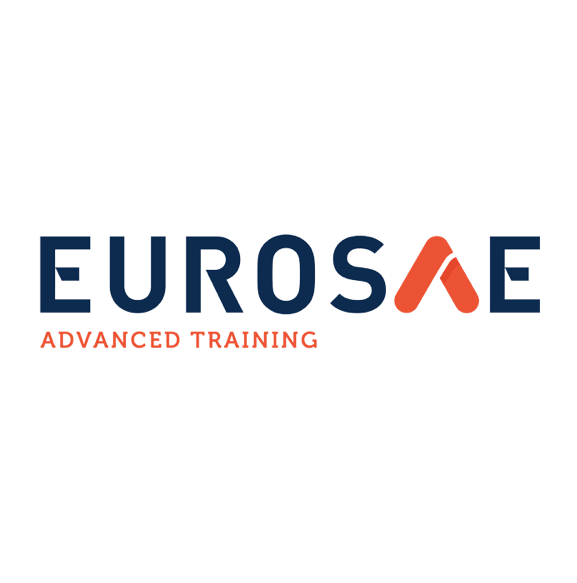 For information and inscription on paid courses, please contact EuroSAE, our operator for professional education. While you’re waiting for the course to start, you can fill in your profile page so that other learners can find out more about you. You can find your profile in the menu on the top right of the screen. We’ll email you to let you know when the course starts. Once the course begins, a link will appear on Your courses dashboard. This will take you to the course. The KickOff section of the course will show you what to do next. Depending on the course, kickoff session using a webinar can be setup in such a way to introduce the course. When course are operated onto the online platform, courses are divided into sections. These contain various activities that you should aim to complete in e.g., a week, each one built from a sequence of parts. Each section and part is given a descriptive title, associated to topic that is proposed. Resources (e.g., a video, a page) or activity (e.g., a discussion forum, a quiz) are proposed in the sections and parts, so you always know what’s expected. You can navigate beetween them forward and backwards, to see what’s coming up, or catch up from the beginning if you’re late starting. Every so often, you’ll come across a discussion step, where you’ll be given a topic to talk over with fellow learners. Talking about ideas is a really great way to learn and consolidate information, so give it a go, even if you find it daunting! The section may include one or more discussion forum(s) where to exchange about the learn topics with each other and educators will offer guidance and answer questions. You will be given a topic to talk over with fellow learners. There is a switch at the end of each step that is automatically set for certain resources or activity or allows you to mark it as complete. This updates your activity list. Depending on the learning scenario situation, you may or may not have to have the switch marked as complete to move on the next resource or section. For example, it may be not required to read a text before doing the final quiz but it need to achieve the quiz with success to go to the next section. Many sections will include a quiz, a moment to pause and check how well you’ve understood the key points from the previous video or article before moving on. The quizzes are not scored, you get an unlimited number of tries at each question and we may give you feedback and hints on each go. Tests work in much the same way as quizzes but tests are scored and may be limited to few tries (depending on the course). These count towards your overall mark and are designed to test your knowledge. Blended learning, an approach that combines face-to-face and online learning experiences, may be implemented in some of online courses. You will be asked in this situation, to achieve remote learning with online media and activities for part of the course, as well as physically coming to the ISAE-SUPAERO campus for another part. Usually, on-campus part is devoted to human exchange with fellow learners and educators, to real-life scientific experiences or any on-campus activities while the distant part is more about getting basical knowledge about the studied domain. In such a way to ensure best learning experience, It may be a requirement to achieve with success the digital part of the course (e.g., succeeding the test) before to be able to subscribe to a on-campus seance. When you’ve finished your course, you may receive a digital certificate to help you demonstrate your learning.